River Gallery And Gifts presents "Just Buffaloes"
It's a creature that we are all fond of around these parts and now they are getting their own exhibition called "Just Buffaloes". For the next month River Art Gallery and Gifts in North Tonawanda has turned the place over the large, hairy but much loved locally critters. Gallery Manager Melinda Schneider say that the Buffalo themed show was a natural, adding "everybody paints Buffalo at some time, but they are all different because every artist has their own view" There are about thirty-five artists represented in the show and they are all local. The one-of-a-kind collection kicks off Saturday afternoon with a reception between 4-7pm and the exhibition runs through February 16th. River Gallery and Gift Shop is located at 83 Webster Street in North Tonawanda. You can check out their website for more information. NORTH TONAWANDA, N.Y. (WKBW-TV) — It's a creature that we are all fond of around these parts and now they are getting their own exhibition called "Just Buffaloes". For the next month River Art Gallery and Gifts in North Tonawanda has turned the place over to the large, hairy (but much loved locally) critters. Gallery Manager Melinda Schneider say that the Buffalo themed show was a natural, adding "everybody paints Buffalo at some time, but they are all different because every artist has their own view". 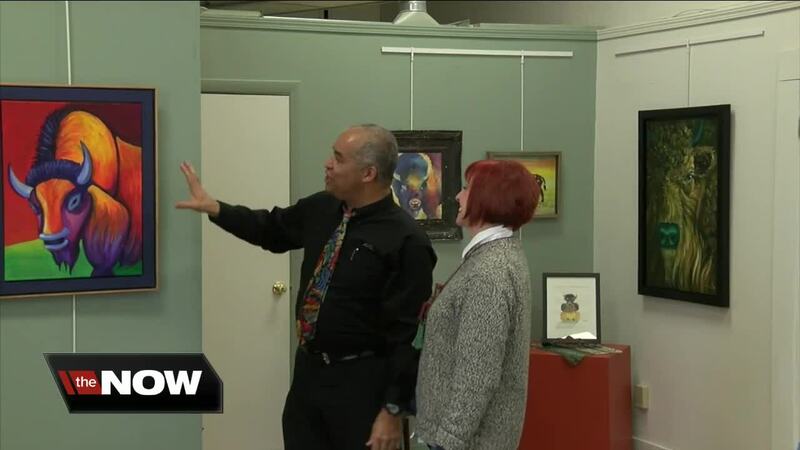 There are about thirty-five artists represented in the show and they are all local. The one-of-a-kind collection kicks off Saturday afternoon with a reception between 4-7pm and the exhibition runs through February 16th. River Gallery and Gift Shop is located at 83 Webster Street in North Tonawanda. You can check out their website for more information.